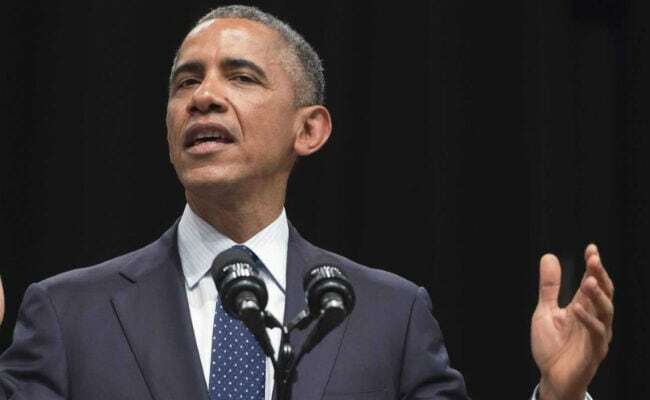 US President Barack Obama warns there is no reason to extend nuclear negotiations with Iran if an agreement on fundamental principles is not reached soon. "I don't see a further extension being useful if they have not agreed to the basic formulation and the bottom line that the world requires to have confidence that they're not pursuing a nuclear weapon," Obama said at a joint press conference in the White House on Monday with visiting German Chancellor Angela Merkel. Obama said technical issues were no longer an obstacle in reaching a comprehensive deal with Iran. "The issues now are -- does Iran have the political will and the desire to get a deal done?" he said. On Sunday, US Secretary of State John Kerry said it would be “impossible” to extend talks with Iran if the negotiating sides do not “the outlines of the agreement" in upcoming weeks. Iran and the P5+1 states - the US, France, Britain, Russia, China and Germany - are in talks to narrow their differences and pave the way for a final, long-term accord aimed at putting an end to the 12-year-old dispute over Tehran’s nuclear energy program. The scale of Iran’s uranium enrichment and the timetable for the lifting of anti-Iran sanctions are seen as major sticking points in the talks. The illegal sanctions on Iran have been imposed based on the unfounded accusation that Tehran is pursuing non-civilian objectives in its nuclear program. Iran rejects the allegation, arguing that as a committed signatory to the nuclear Non-Proliferation Treaty (NPT) and a member of the International Atomic Energy Agency (IAEA), it has the right to use nuclear technology for peaceful purposes. “I don’t think the secretary of state can set a time limit and a framework and expect Iran to sign it,” Professor James Petras said.